Opposition MPs have attacked the Conservatives over links to a company used to make fraudulent phone calls directing voters to the wrong polling stations in the last federal election. The Conservatives defended themselves Thursday over links to a company used to make fraudulent phone calls that sent some voters to the wrong polling stations last year. The party's elite, from Prime Minister Stephen Harper to Jenni Byrne, who ran the national campaign during the 2011 election, was forced to address the issue after a report in the Ottawa Citizen. The report Thursday said fraudulent calls claiming to be from Elections Canada were traced to a company in Edmonton called Racknine, which provides a service that allows a recorded message to be sent to a large number of phone numbers for pennies per call. Racknine operates the service under the name 2call.ca. Should punishment for voter suppression be more severe? Take our survey. The calls used a pre-recorded message with a female voice that claimed to be calling on behalf of Elections Canada to direct voters in ridings across the country to the wrong polling stations. The message was recorded in French and in English. Such calls can be used to suppress election participation by frustrating voters so they give up on casting a ballot. Elections Canada traced the calls as part of an investigation into the case, the Citizen reported. The RCMP confirmed Thursday evening that they are supporting Elections Canada in the investigation, but referred questions to the election agency. Racknine has been used in the past by Conservative candidates, including Harper, to conduct legitimate phone campaigns. Harper said the fake Elections Canada calls weren't a part of the party's campaign. "I have absolutely no knowledge on anything about these calls, but obviously if there's anyone who has done anything wrong, we will expect they will face the full consequences of the law," he said at a photo op in Iqaluit on Thursday. Multiple Conservative sources have told CBC News the calls are linked to an independent contractor with ties to the party. CBC could not verify that information. Elections Canada can refer charges to the director of public prosecutions, who has the power to initiate and conduct federal prosecutions. Breaking the Elections Canada Act can lead to up to $5,000 in fines and five years in prison, but the penalty depends on the charge. Matt Meier, the head of Racknine, said he couldn't comment because the case is being investigated by Elections Canada. "I am a non-partisan provider and I believe this is a non-partisan issue," he told CBC News. "I'm just a telephone company." The Citizen reported Meier gave Elections Canada all the information he had for the person who used his service to place the calls. Meier confirmed to CBC News that the story is accurate. In a statement posted to his blog, Meier said he'll keep working with Elections Canada. "We are committed to ensuring that those who misused our services will face the full penalty of law," he said. Susan Yodzis was one of the targets of the robocalls and went to the wrong polling station in Guelph, Ont., on May 2. Yodzis said she had told any party that called her home that she was voting for Liberal incumbent Frank Valeriote, who won the seat. When a call directed her to the wrong polling station, one of the workers told her she still had time to vote at the right one. Yodzis called the attempt to re-route voters outrageous. "Yeah, it did upset me to think that there was someone out there that would just try and disrupt that democratic process," she said. Yodzis said she reported the incident to Elections Canada officials. Former Liberal MP Anita Neville said she reported a similar problem in her Winnipeg South Centre riding, but didn't follow up with the agency. "We had a number of phone calls into the campaign, both the day before and the day of the election. People were calling in saying that they had been directed to go to a polling station near the perimeter in Winnipeg, which is out in Headingley. It’s a good 20-minute ride, at least, from the riding, and there was a fair bit of skepticism on that," she told Evan Solomon, host of CBC's Power & Politics. Jenni Byrne, the Conservatives' national campaign manager for the 2011 election, said the party ran a clean and ethical campaign. "The party was not involved with these calls and if anyone on a local campaign was involved they will not play a role in a future campaign." Voter suppression is "extremely serious," Byrne said. "We spent the entire campaign identifying supporters and we worked hard to get them out to vote. Our job is to get votes out, we do not engage in voter suppression." NDP MP Pat Martin called the tactic a heinous crime against democracy. "How is this different from a bunch of goons with clubs blocking the door to a voter station as we’ve seen in Third World countries or the deep south of the United States?" he asked at a news conference Thursday. "Because the net effect is the same." Martin said the strategy was "a conspiracy to undermine a person’s right to vote" and that it draws into question the number of votes the Conservative Party won. The party received 39.6 per cent of votes to win a majority government. The NDP won 30.6 per cent. Elections Canada had reports from voters in several ridings in Ontario, Manitoba and British Columbia who said they'd been given false information that directed them to the wrong place to vote, CBC reported on May 2, 2011, the day of the federal election. The calls reportedly went out in Ottawa, Guelph and Winnipeg South Centre. CBC later learned of calls in Kitchener-Waterloo as well. The Liberals say Etobicoke Centre in Toronto was also affected. Parkdale-High Park, a Toronto riding. 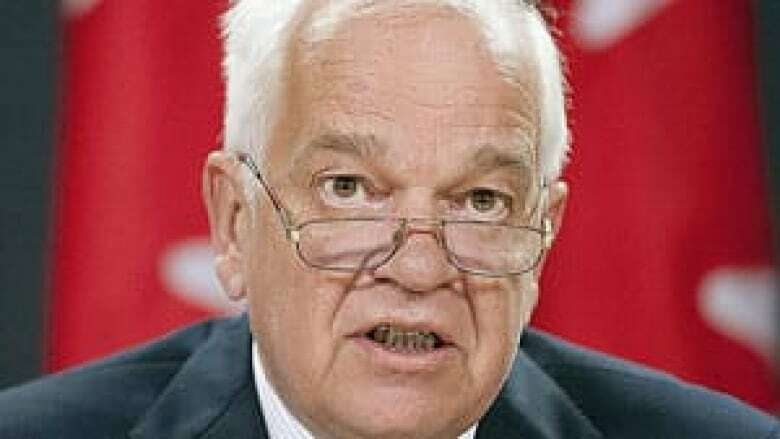 Liberal MP John McCallum, speaking at a news conference in Ottawa on Thursday, said he hopes the Conservatives co-operate with any investigation. "I think it's relevant the degree to which the Conservative Party had ties to this company, yes," he said. "We don't have a smoking gun pointing to Stephen Harper or the Conservative Party, but we do know that these actions benefited the Conservative Party. We do know that the strategy of vote repression has been in their toolkit for some time, so there are definitely suspicions. "I think it's also a technique that the Conservative Party has borrowed from its Republican friends to the south, where the technique, I think, is more developed." McCallum pointed to a tight race in Etobicoke Centre, saying if a dozen people stayed home, it's possible it changed the outcome of the election. There were also reports during the election campaign of harassing or rude calls late at night or throughout the day. Callers said they were calling on behalf of the Liberal Party, but Liberal candidates said the callers weren't speaking on behalf of their campaigns. Last fall, Liberal MP Irwin Cotler was the target of calls telling constituents he would be stepping down, which wasn't true. Elections Canada said in its post-election report that the commissioner of elections was looking into complaints of "crank calls designed to discourage voting, discourage voting for a particular party, or incorrectly advise electors of changed polling locations." The commissioner of Elections Canada works under the chief electoral officer to make sure the Canada Elections Act is enforced.